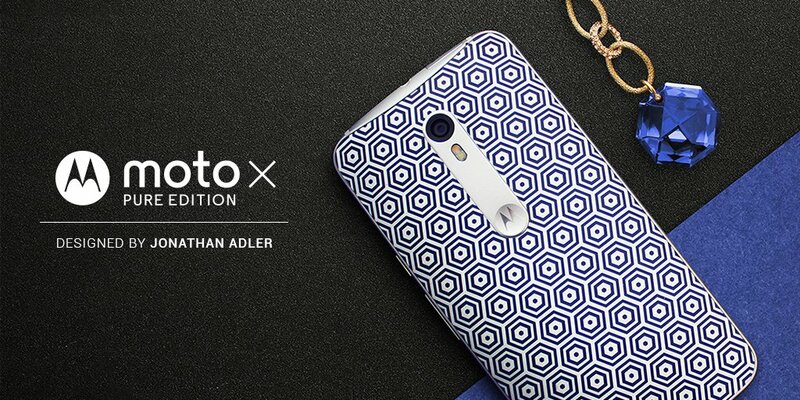 The Moto X is the most customizable smartphone on the market—you can already get various colors, leathers, and wood panels, but now there are limited edition devices with designs by Jonathan Adler. I'm not going to pretend I know who he is, but apparently he's quite popular with people whose sense of interior design goes beyond video game posters. There are three styles of the phone, all of which sell for $474.99 and will ship around December 15th. There's a blue and white honeycomb pattern, some half circles, and one with red stripes. Maybe you don't like them, but taste is subjective. 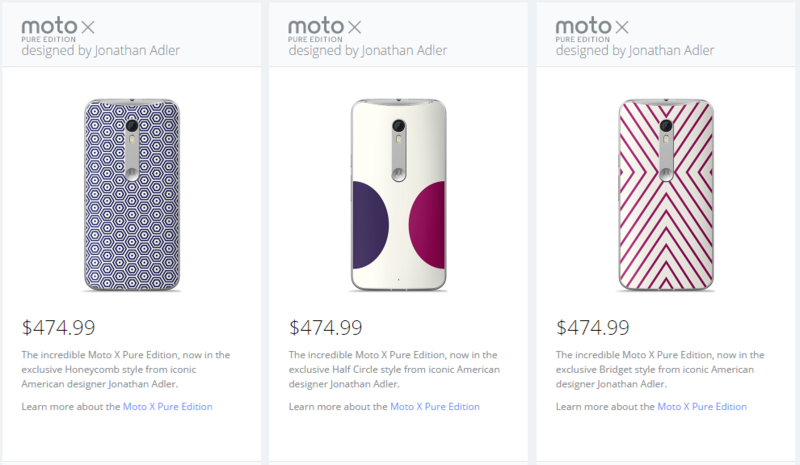 These are all the 32GB version of the phone, which is normally priced at $449.99. So, you're paying a $25 premium for the limited edition back covers. That's not bad, considering the wood or leather upgrades are the same price.